I'm the type of person who prefers to have a background sound on while working. 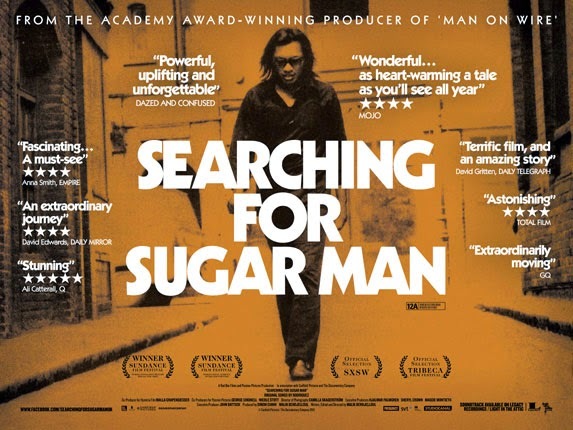 Two of my favorite background sounds are the James Bond movie Casino Royale and the documentary movie Searching for Sugar Man. I frequently used both while writing my Elon Musk biography book. It was a very sad moment when I learned that the director of Searching for Sugar Man, Malik Bendjelloul, had passed away at age 36. In 2013, he participated in a Swedish radio program called "Sommar i P1" where he talked about not only the movie, but also other projects he had going on. It was a very good speech - one that you may get motivation from by listening to it. Unfortunately, it's only available in Swedish, so I thought it was a good idea to translate it to English. You can find the translated version here: Malik Bendjelloul's Speech. "It took an enormously amount of time to make that move: more than four years. And during long periods I thought it would actually never be finished." It may have been easier, but Malik Bendjelloul didn't know it at the time. For example, he tried to make a longer interview with the main character, artist Rodriguez, but failed and had to create an entire movie about him with an interview that lasted only 15 minutes. But then he realized that 15 minutes was more enough. Malik Bendjelloul couldn't finish the movie because he couldn't afford a special camera and beautiful animations. But then he realized that he could use a 1 USD app on his phone instead of an expensive camera, and he could make the animations on his own for free. "So when you sit there this summer and improves your house, carves your wooden man, or paints an aquarelle, so remember that those tiny things you have in your hands will survive yourself when they end up in their drawer or in their closet. They will get their own life and you have nothing to do with it anymore. And one day someone will certainly understand its perfection and eternal value. But it doesn't really matters if it happens today or in 100 years, or if it ever happens, you will anyway want to torch the millions the success would have given you. For the fun is the creation process itself."